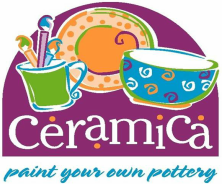 WE HAD 1225 BOWLS PAINTED BY CERAMICA CUSTOMERS FOR THE FOODBANK!!! YOU GUYS ARE AMAZING!!! !